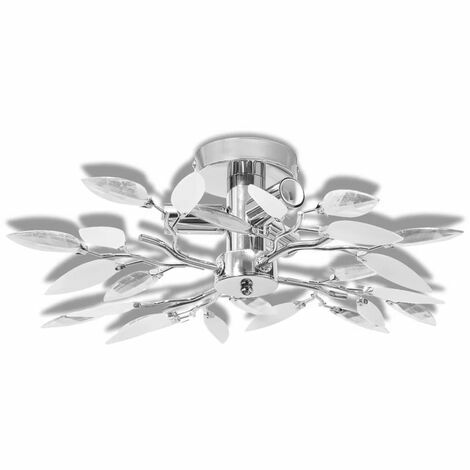 This gorgeous ceiling lamp, with four acrylic leaf arms, features a classic and elegant design. Its chrome finishing gives this lamp a contemporary style – perfect for any modern living room or bedroom. This lamp can be easily mounted on any ceiling with a high quality metal base. Wonderful light will come through those delicate acrylic leaves, illuminating every corner of the room. This exclusive ceiling lamp is guaranteed to produce a relaxing and pleasurable ambience. This lamp is suitable for three E14 bulbs. Please note the bulbs are not included in delivery.